Cooking advertising brand "Kinderpaar", made by "Sigmund Spear, Kunstanstalt Nürnberg." 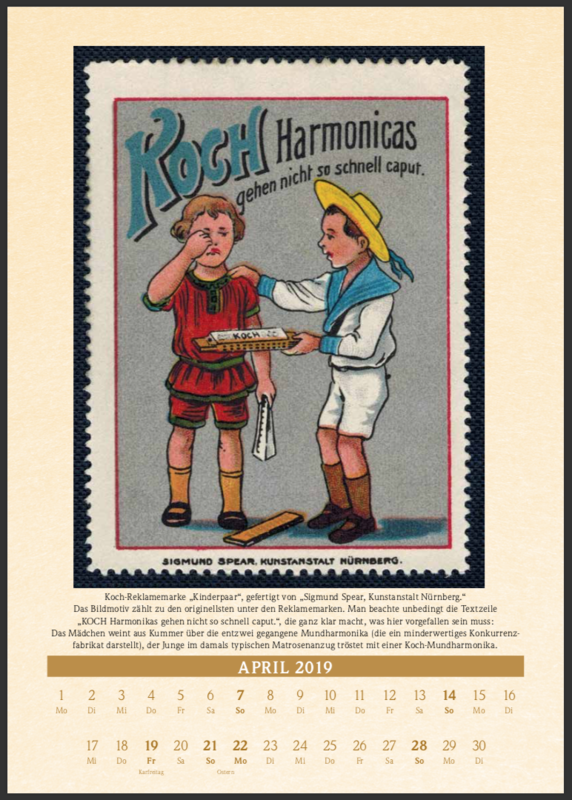 The girl cries out of sorrow over the broken harmonica (which is an inferior product of a competitor), the boy in the then typical sailor suit comforts with a KOCH harmonica. Weitere Informationen zu den Werbemarken erhalten Sie auf der Seite Marketing en miniature.